A stylish collection and wide assortment of beautiful planters with a modern touch and clean-lined finish while adding a welcoming refreshing touch to porches, entryways, decks, poolside and indoors. A stylish collection and wide assortment of beautiful planters with a modern touch and clean-lined finish to be enjoyed in any space whether it is inside your home, the outdoor areas or office. 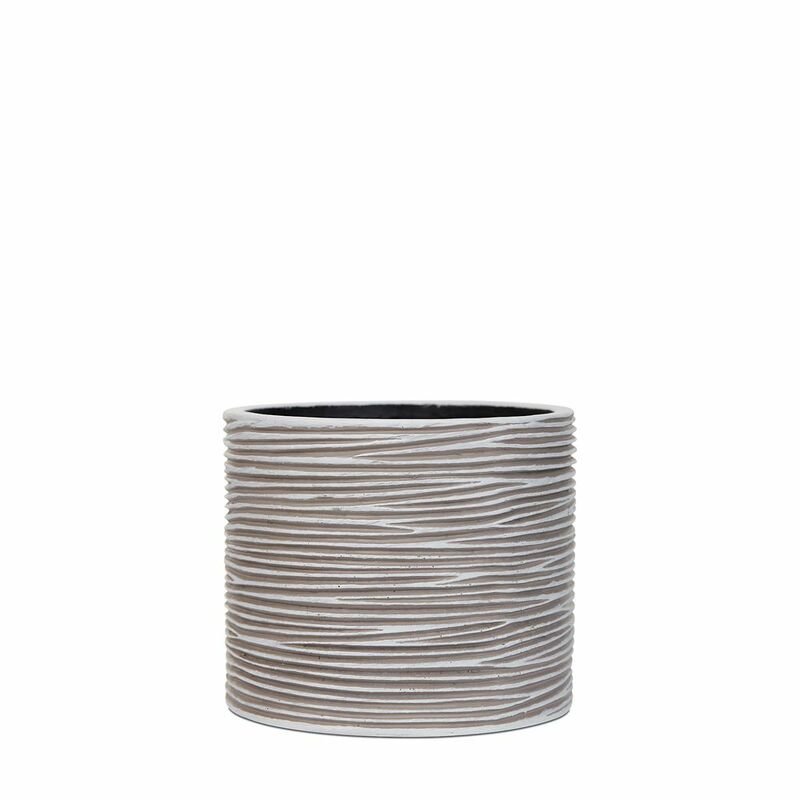 Vase cylinder II rib 5.5x5.5x4.9 inch ivory A stylish collection and wide assortment of beautiful planters with a modern touch and clean-lined finish while adding a welcoming refreshing touch to porches, entryways, decks, poolside and indoors.